Stumptown’s Wacky Trail Blazers Coffee Commercials Are Back. With Jusuf Nurkic. In a Van. It's a bleak time to be a Portland Trail Blazers fan. The squad has lost six of its last seven games. The Blazers have suffered collective amnesia regarding defense and how its is played. In sunny southern California, LeBron James is sending Damian Lillard social-media love letters, reminding him that he could be playing with champions. The Blazers need a pick-me-up. Enter Tim Wenzel. 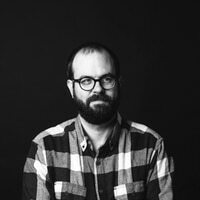 When last we checked in with Wenzel, the bassist for Portland prank-punk band White Glove was writing and directing jingle-heavy commercials for Stumptown Coffee starring backup guard Shabazz Napier. The "Shabazz is the man" ads were the cult hit of the Blazers 2017-18 campaign. Related: Stumptown Coffee's Catchy "Shabazz Is the Man" Jingle Came From an Unlikely Place. Wenzel is back. This time, he's recruited a player from the starting lineup. 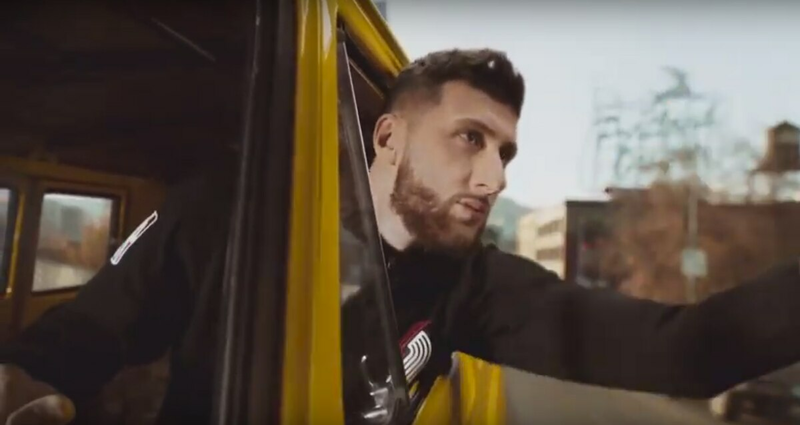 The sequel to to "Shabazz is the man" is entitled, "Jusuf Nurkic in a van." Describing the new Stumptown ad seems pointless. It's Jusuf Nurkic. In a van. But it is worth reminding you that "Dry Ice," the unfortunate gold-clad crypto-Californian who gets a face full of puddle, is played by Wenzel himself. A year ago, Wenzel talked to WW about his creative process. "Stumptown lets me do what I want to do," he explained. "I usually just shack up in my bedroom and sit on the floor with my keyboard. I usually just come up with a song and then come up with a video around it." Related: Hear a Bosnian Band's Ode to Blazers Center Jusuf Nurkic.